The risk of nuclear war on the Korean peninsula, and the world at large, is looming on the horizon. Much of the coverage in the United States is focused on the potential threat that North Korea poses to the USA and US territories. Very little, if anything, has been reported by the media about the geopolitical realities of the situation. There are a variety of reasons for this. Most people have been conditioned to disdain history, deliberately deprived of critical thinking skills and lack the breadth of general historical knowledge and geopolitics that would allow them to understand what is happening. To analyze the situation through a geopolitical lens, one must step back and look dispassionately at the situation. After WWII, in 1945, the victorious allies arbitrarily partitioned Korea into two parts. The North was occupied by the Soviets and the south by the USA (allies of the Soviets in WWII, a fact that, astonishingly, many are today unaware). That is where all of this started. By 1950 war between the North and the South broke out. While nominally called a UN mission, the troops, planes, ships and weapons were overwhelmingly from the United States, with a small contingent from Britain, and a smattering of troops from other countries (very similar to the 'coalition of the willing' that invaded Iraq in 2003). 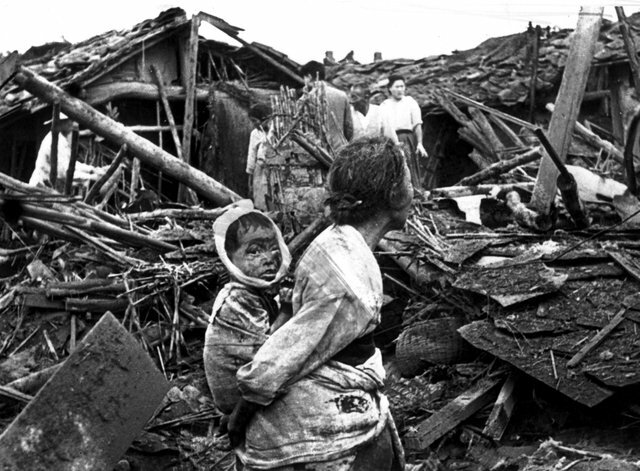 Korea was absolutely devastated with millions of people killed and the entire country destroyed. While most Americans are blissfully unaware of the horrors experienced by the Korean people during the war (and, indeed, that we went to war there at all), the Korean people certainly remember. This 1950 war is still living history for those who survived the slaughter and the defining historical event for every North Korean (and many South Koreans). The war was fought to a stalemate, and the division became permanent. The Soviet-installed Kim II Sung, who ruled North Korea for 46 years, from 1948 - 1994. His grandson rules today. South Korea became a military dictatorship under US occupation. It remained a military dictatorship until 1987. South Korea was named a "Major non Nato Ally" in 1989. It has been occupied by tens of thousands of US troops since 1945. After the fall of the Soviet Union in 1991, many hoped for peace. 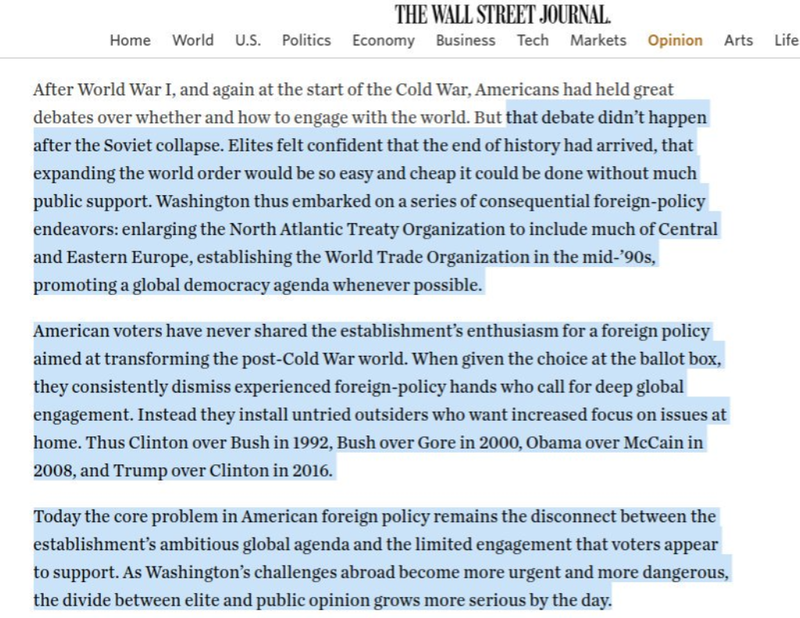 The elites running the USA had other ideas. They decided that the collapse of the Soviet Union simply represented a power vacuum which they would fill (with huge profits to themselves). They did this despite the will of the people. The leaders of the USA/NATO establishment decided that they were going to break the promises made to the Russians during the dissolution of the Soviet Union, that NATO would not expand East of Germany, into former Warsaw states. Instead, the USA decided to massively expand their global military footprint, expanding their alliances and troops to Russia's border and toppling governments from Iraq, to Libya and beyond with invasions and bombings. This brings us back to the situation in Korea. The Soviet Union has been gone for a quarter of a century. South Korea is a major NATO ally. 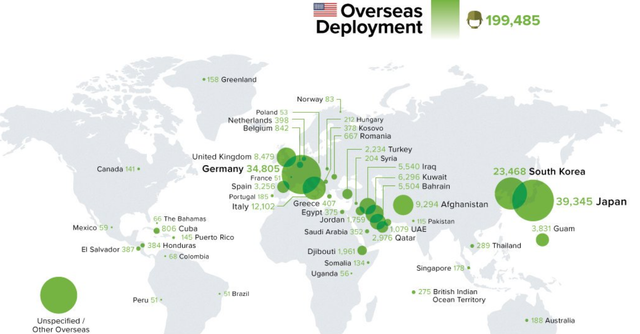 The United States has 24,000 troops in South Korea and another 40,000 right next door in Japan. This doesn't include all the ships, aircraft carriers, planes and subs in the area. Either the fall of the North Korean regime or a unification that left South Korea in control would mean that the United States will (in effect) have a NATO base with tens of thousands of troops directly on China's border. China will (understandably) never allow this. China is not a huge fan of North Korea or their regime, but North Korea acts as a very important buffer between China and NATO forces. This is especially true since the only strategy that NATO pursues against those who don't submit is "regime change". As dangerous and unpredictable as North Korea is, its not nearly as dangerous to China as having tens of thousands of US troops perched on their border. What does this all mean? It means that if this situation is to be resolved, the only resolution is for the United States to end its occupation of South Korea. To close up the bases, bring the troops home, and let the Koreans, the Chinese, the Japanese, and the rest of the people on the other side of the world work out their own problems without our interference. 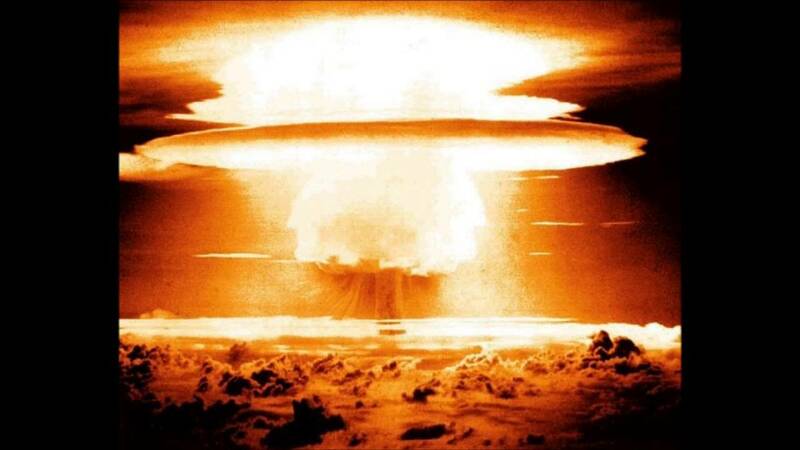 There is simply no doubt that if we continue pressing our aggressive stance that, sooner or later, Kim Jong Un will feel that his life is in danger and he has nothing left to lose, and he will launch, and we will all lose. In an ideal world logic and common sense would win out over hubris and jingoism, but it doesn't look good. Thanks for sharing... Love it. Let's hope everyone takes a deep breath on both sides. Congratulations @stanislavpetrov! You have received a personal award!